This is Page 1 of 3 - the best of October 2015! 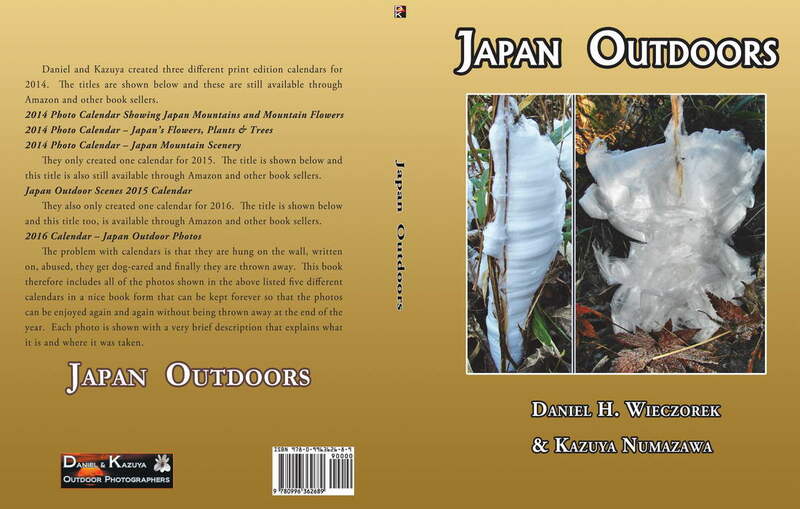 This page begins with cover images of our newest book. 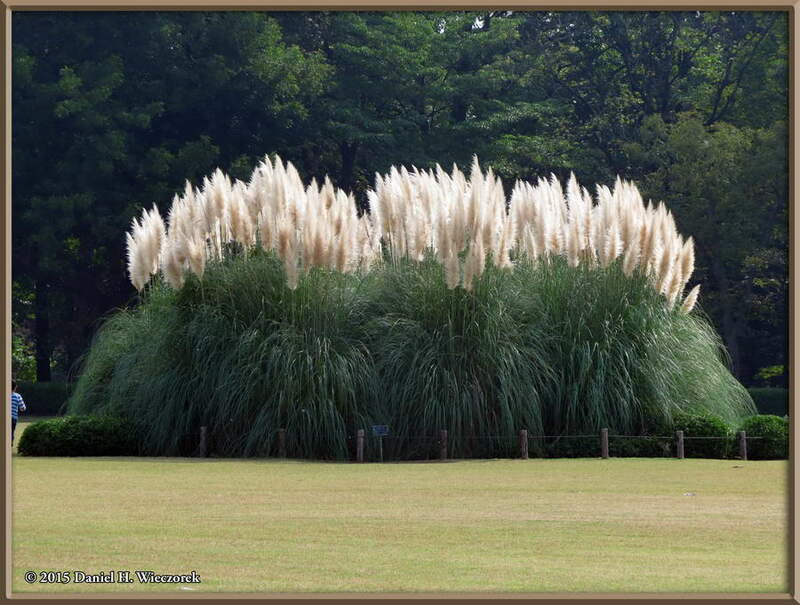 Then we jump to October 3rd and a trip to Nogawa Park for autumn flower viewing. 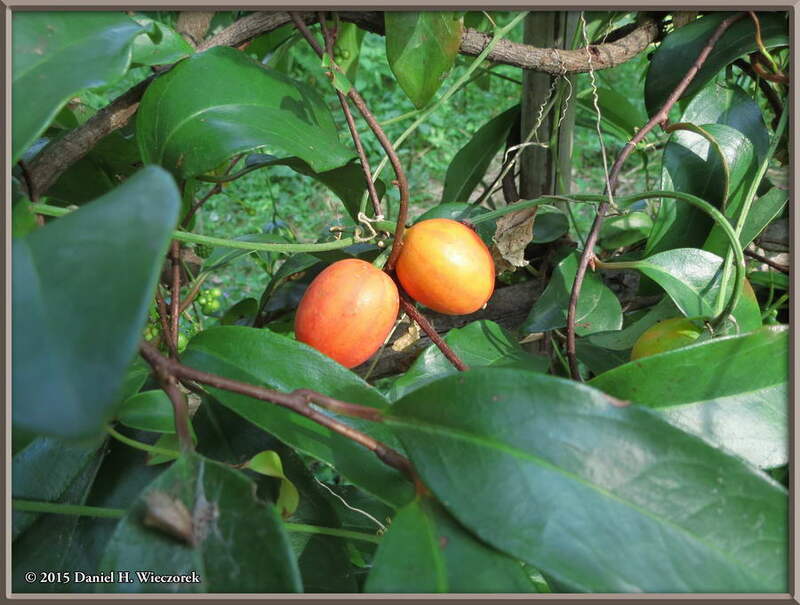 There are 3 photos, taken at home, from October 4th and then we jump to October 24th and a trip to Jindai Botanical Garden. Click on any thumbnail to begin. 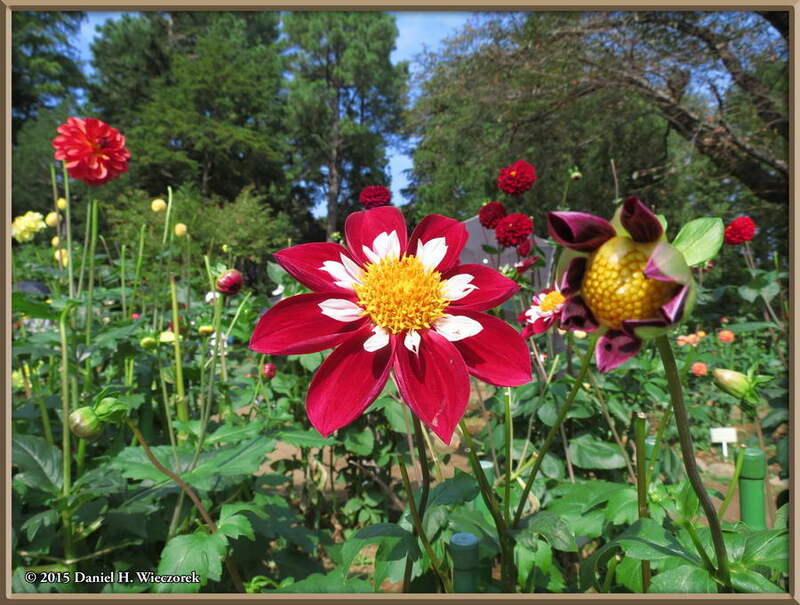 On October 3rd Kazuya and I went to Nogawa Park to see what was happening with the autumn flowers and autumn colors. 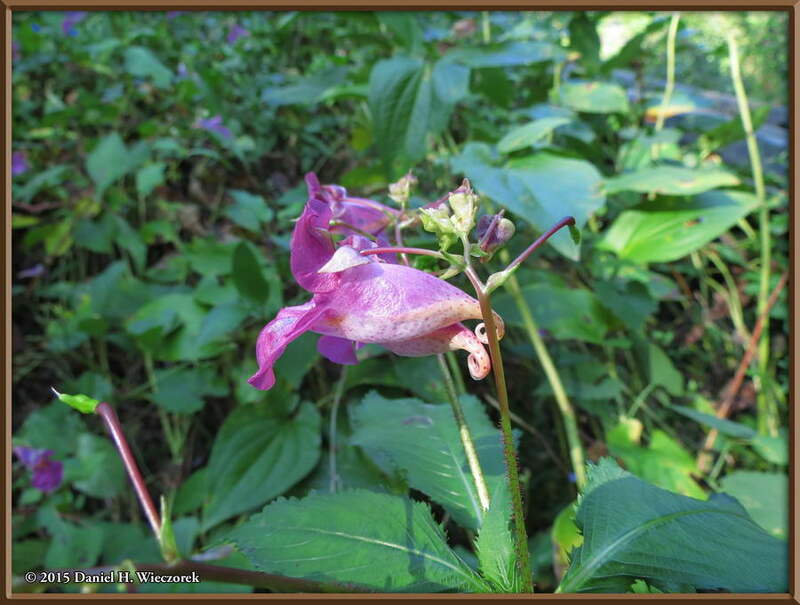 There were no autumn colors yet, but we found some autumn flowers. 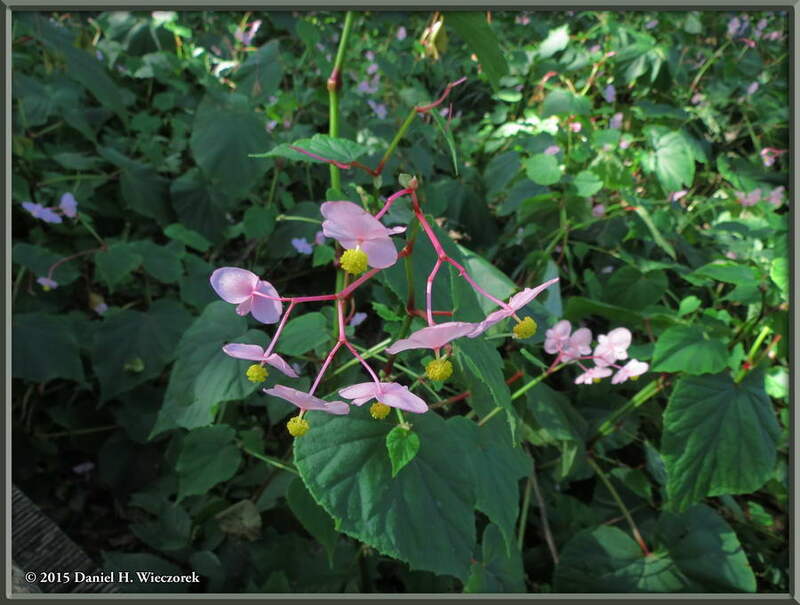 The first two shots in this row show examples of Begonia grandis. 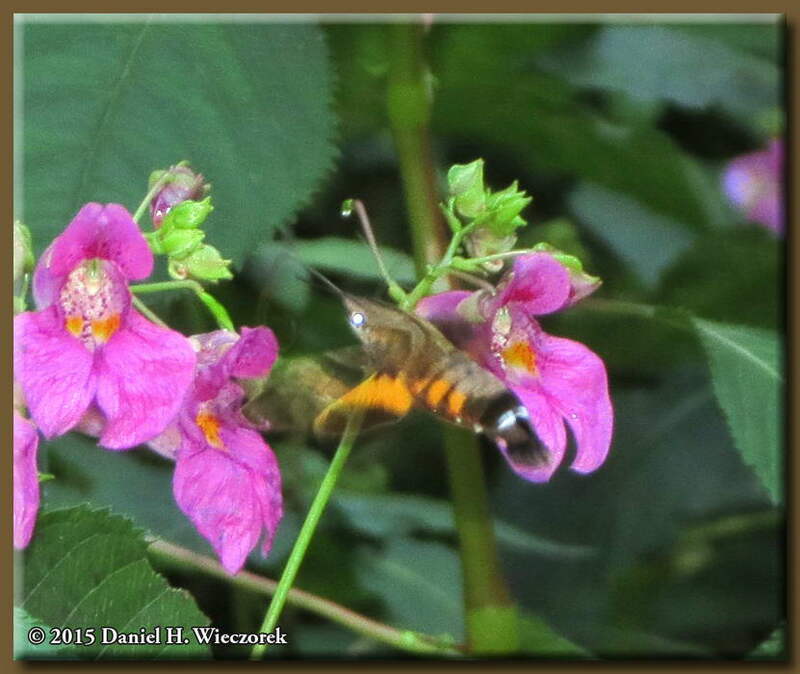 The third shot shows Impatiens textorii and a Hummingbird Hawk Moth (Macroglossum sp.). 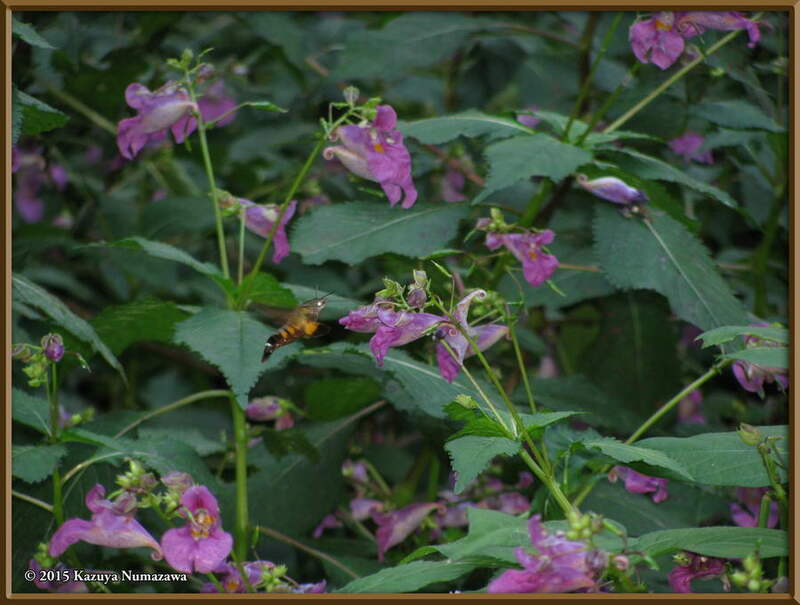 The first image in this row is a cropped out portion of the previous shot, showing primarily the Hummingbird Hawk Moth (Macroglossum sp.). 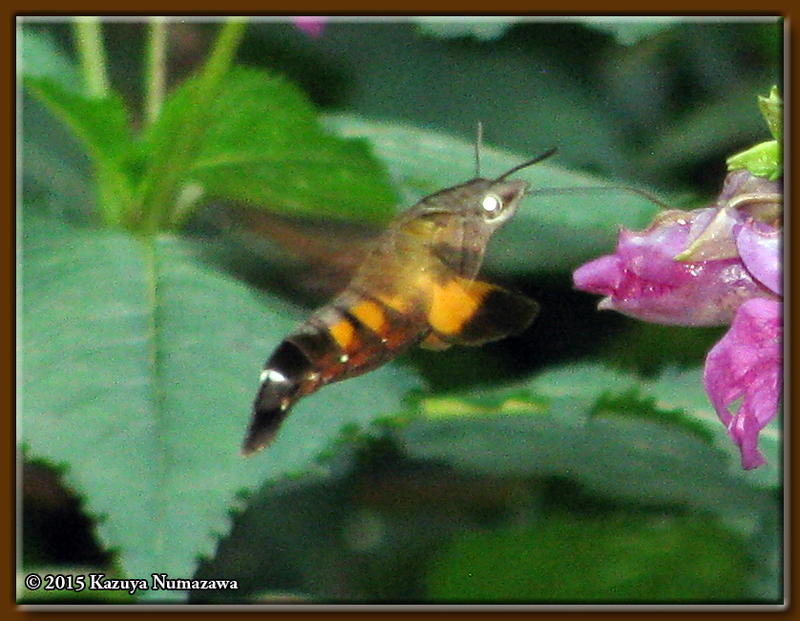 Those Hummingbird Hawk Moths are amazing, moving just as quickly as a Hummingbird, they are extremely hard to catch in a photo. 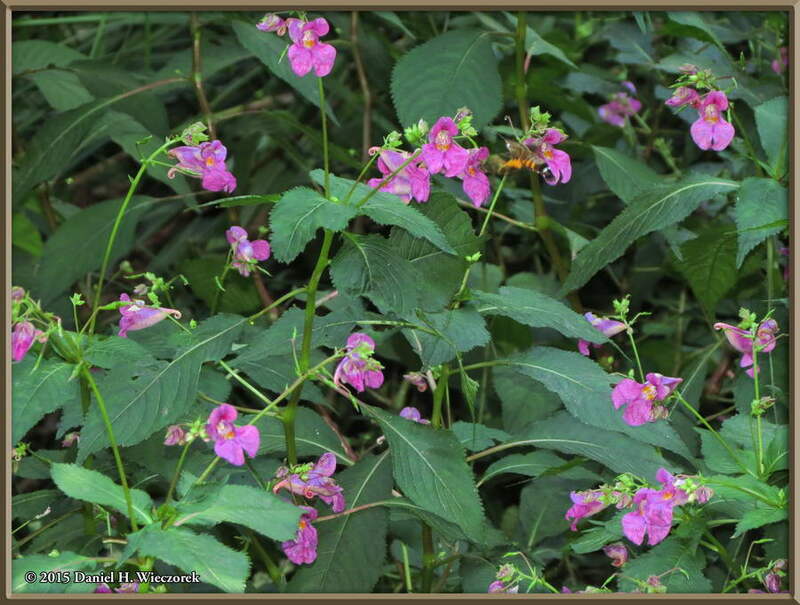 The second shot shows a nice close-up of the Impatiens textorii - the Impatient Plant. 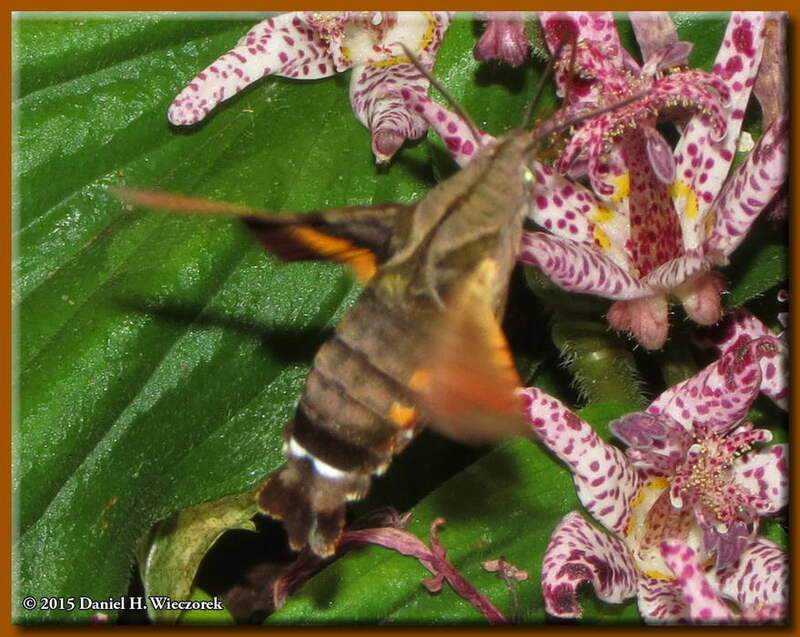 The 3rd shot shows an Impatient Plant and another Hummingbird Hawk Moth (Macroglossum sp.). 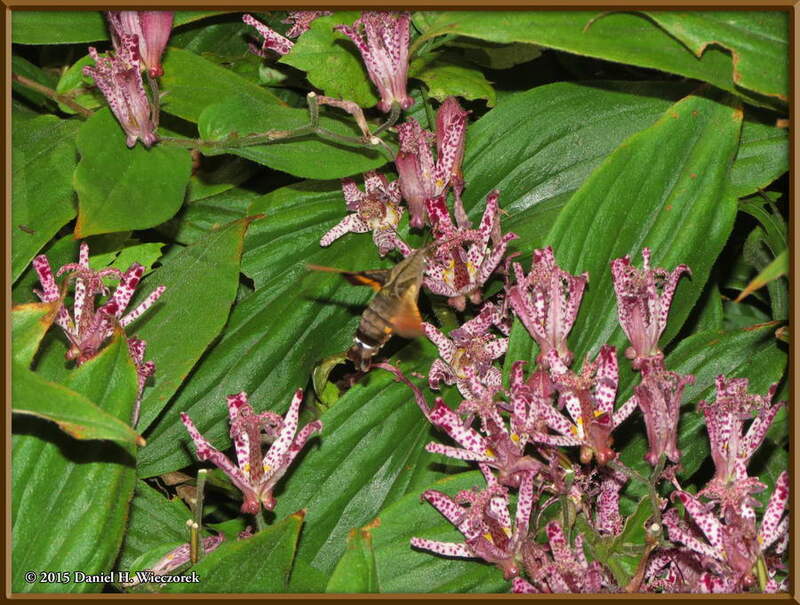 The first image in this row is again, a cropped out portion of the previous photo, showing primarily the Hummingbird Hawk Moth - (Macroglossum sp.). 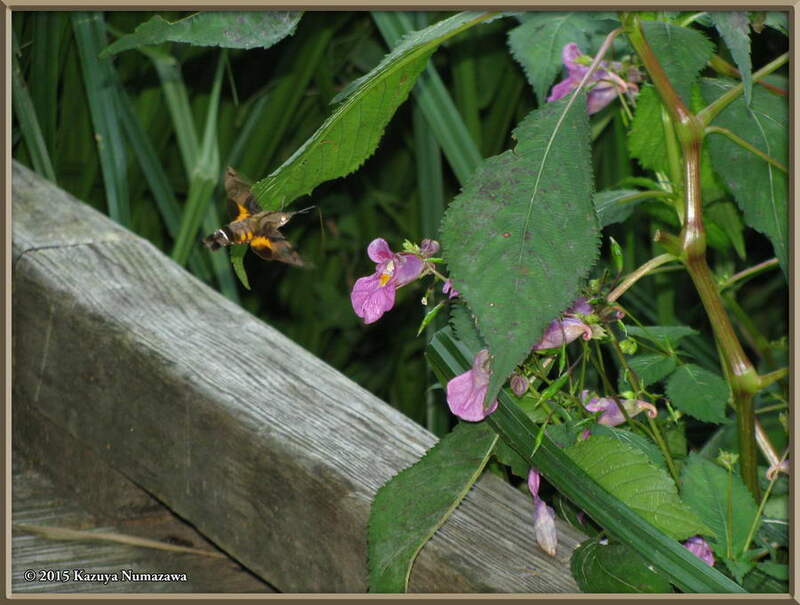 The second shot is another close up of an Impatient Plant and the third shot again shows an Impatient Plant (Impatiens textorii and a Hummingbird Hawk Moth - (Macroglossum sp.). 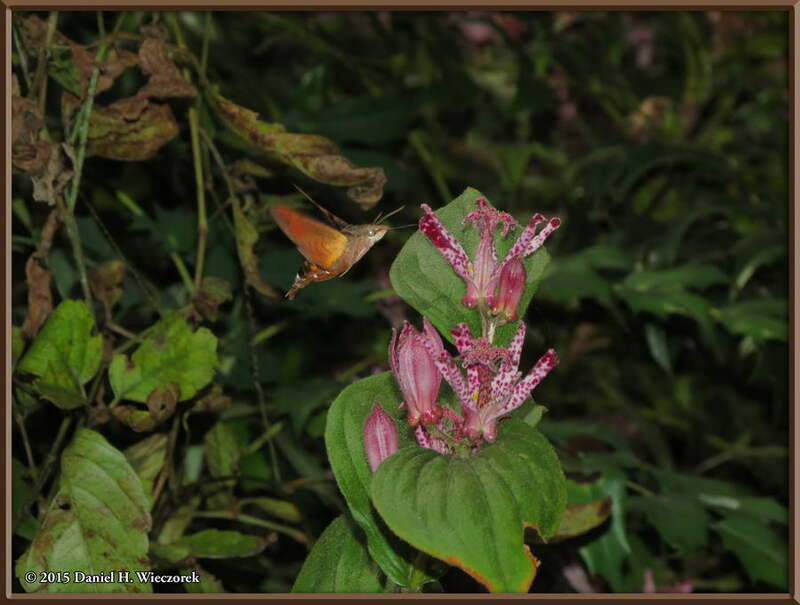 The first image in this row is once again, a cropped out portion of the previous photo and again shows the Hummingbird Hawk Moth - (Macroglossum sp.). 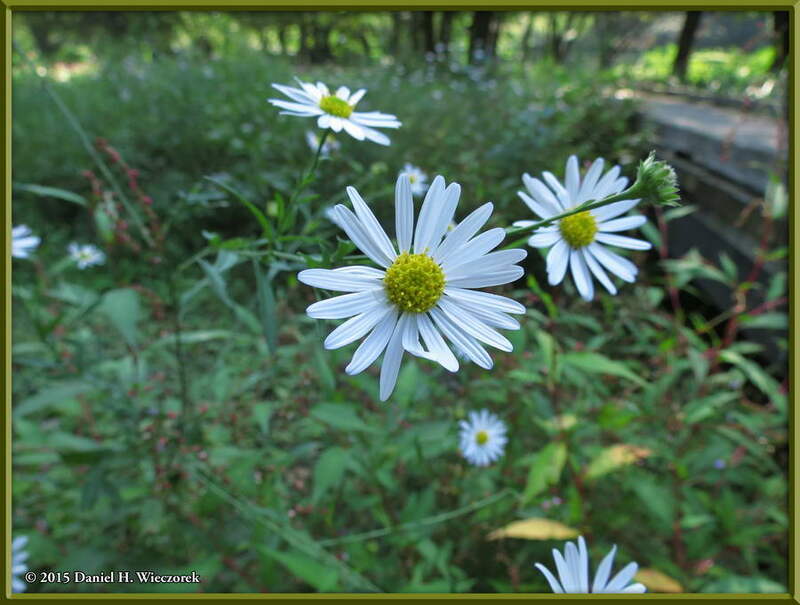 The second shot shows a kind of Daisy and the third shot shows a purple-berried plant. 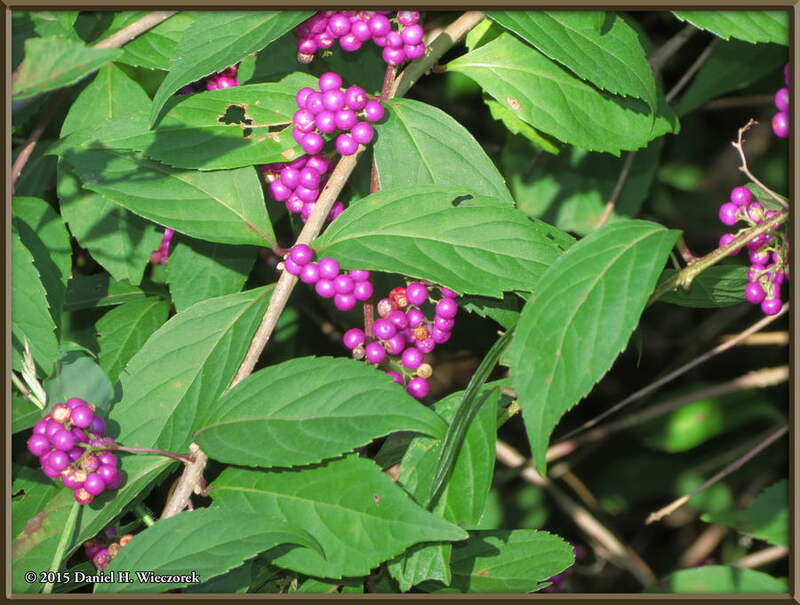 Those berries are so beautifully colored. 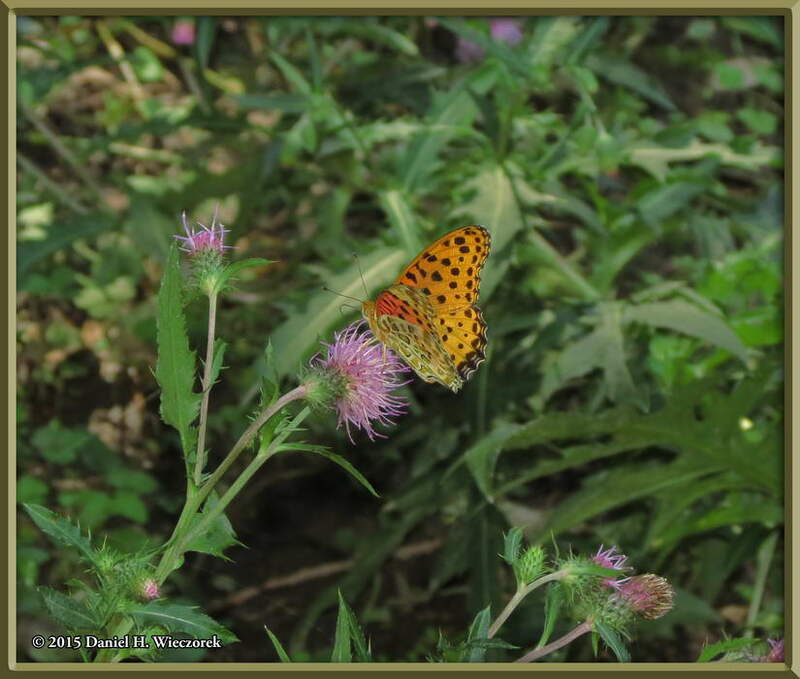 Here are two shots of two different kinds of butterflies taking the nectar from Thistle Flowers. 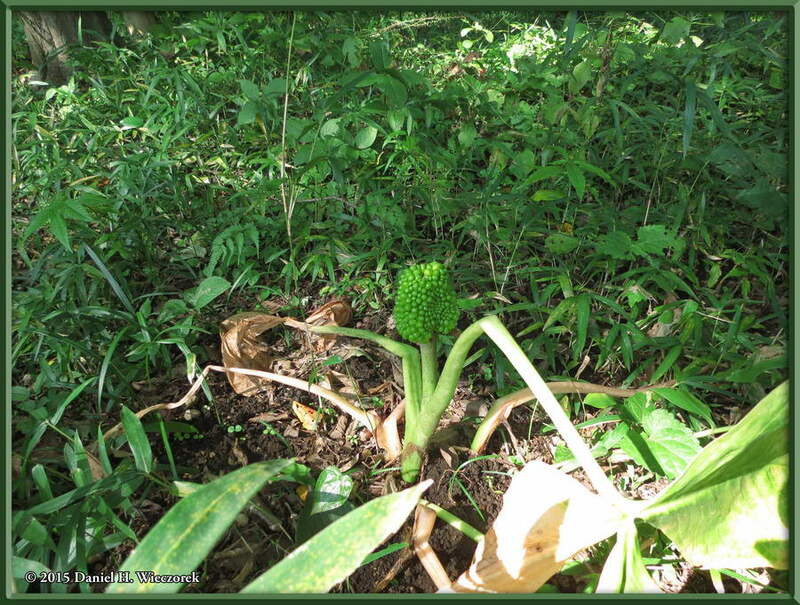 The third shot shows a huge seedhead of Jack-In-The-Pulpit (Arisaema sp.). 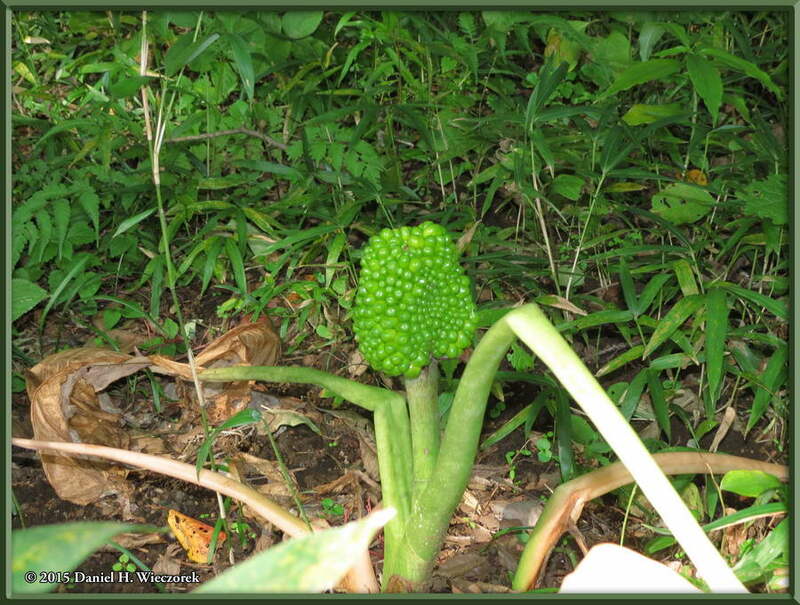 Here is a final shot of the huge seedhead on that Jack-In-The-Pulpit (Arisaema sp.) 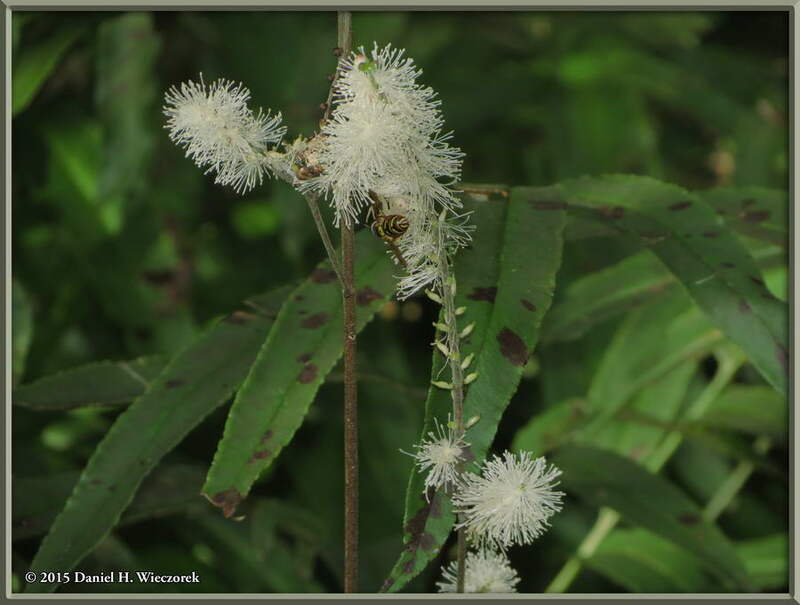 plant and then two shots of an interesting white flower. 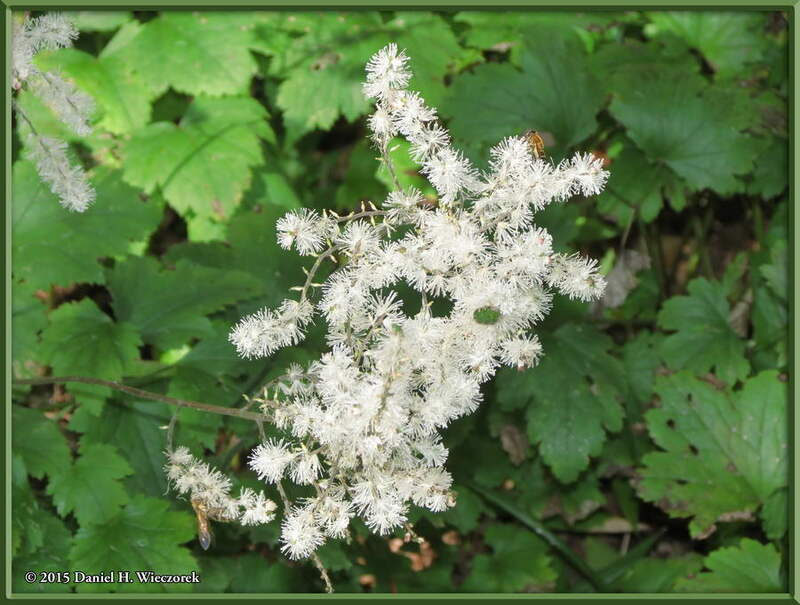 Here is another shot of that same white flower. 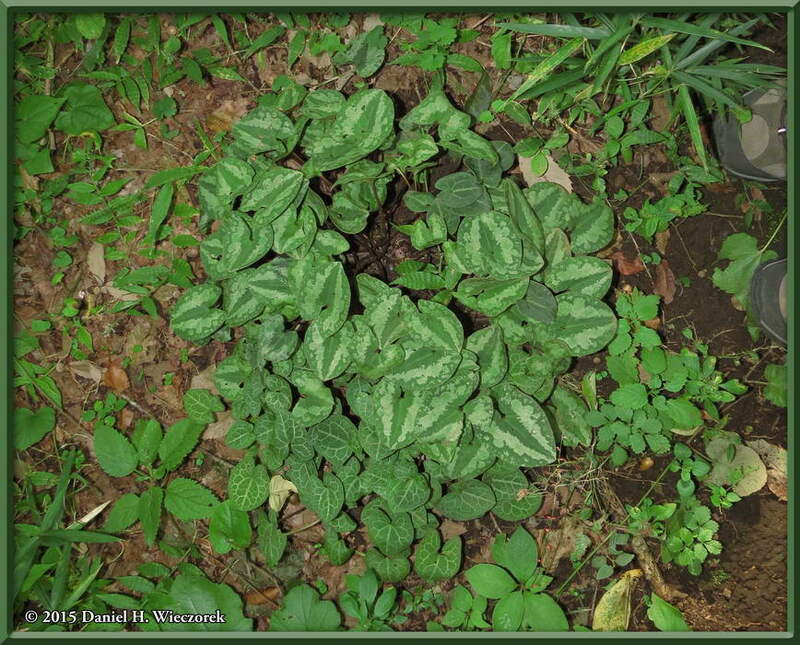 The second shot is a seedhead of the Yuba Yuri (Old Women's Lily) and the third shot shows the pleasantly colored leaves of an Asarum sp. plant. 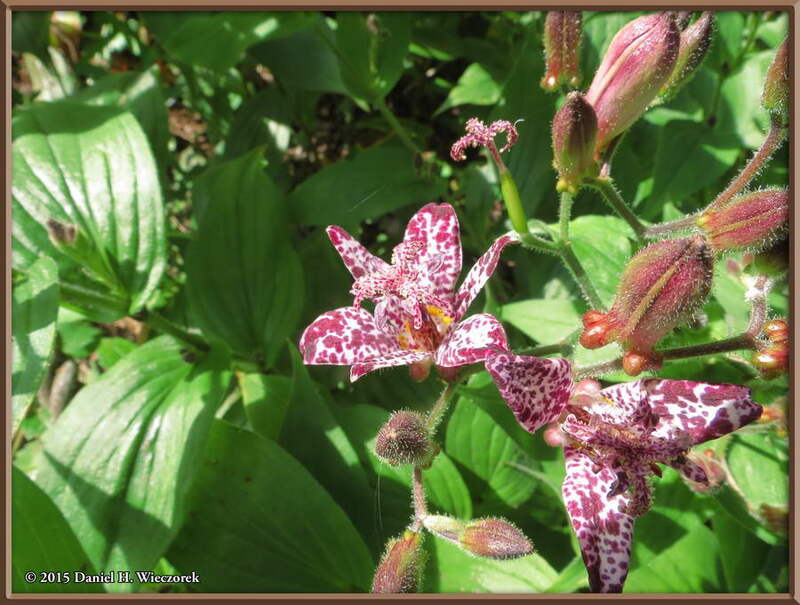 All three shots in this row show the Toad Lily (Tricyrtis sp.). 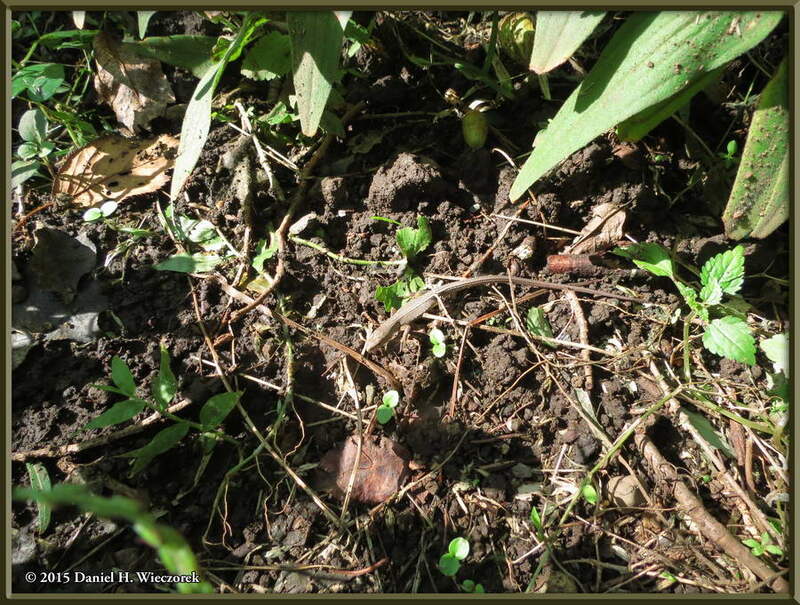 The third shot also includes a small lizard - it's quite well camouflaged, can you find it? The first image in this row is a cropped portion of the previous photo, showing the lizard. 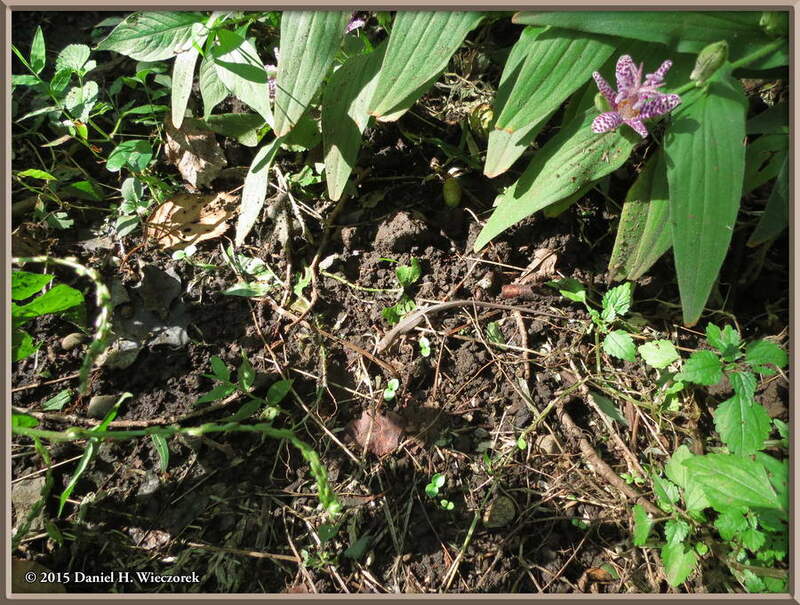 The second shot is another closer shot of the lizard which was beside the Toad Lily. 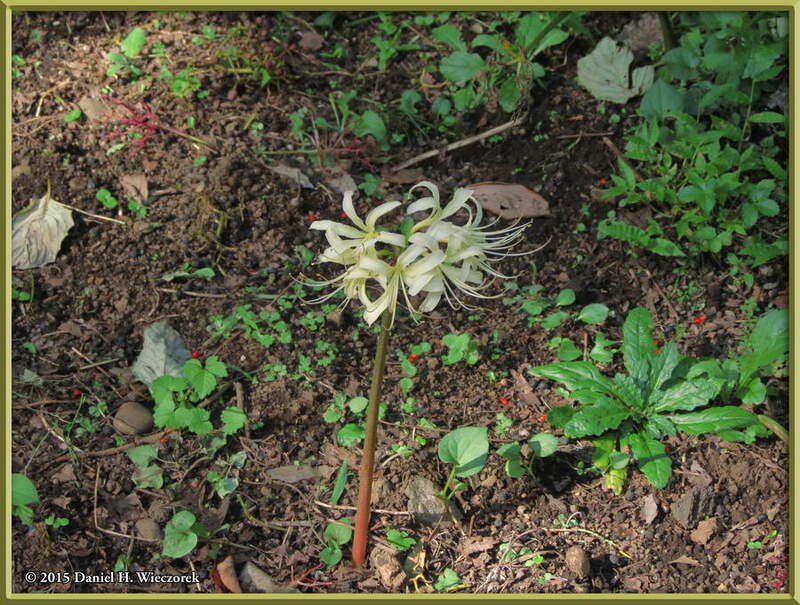 The 3rd photo shows a Lycoris radiata (Cluster Amaryllis) - the very last one which still had a flower on it. 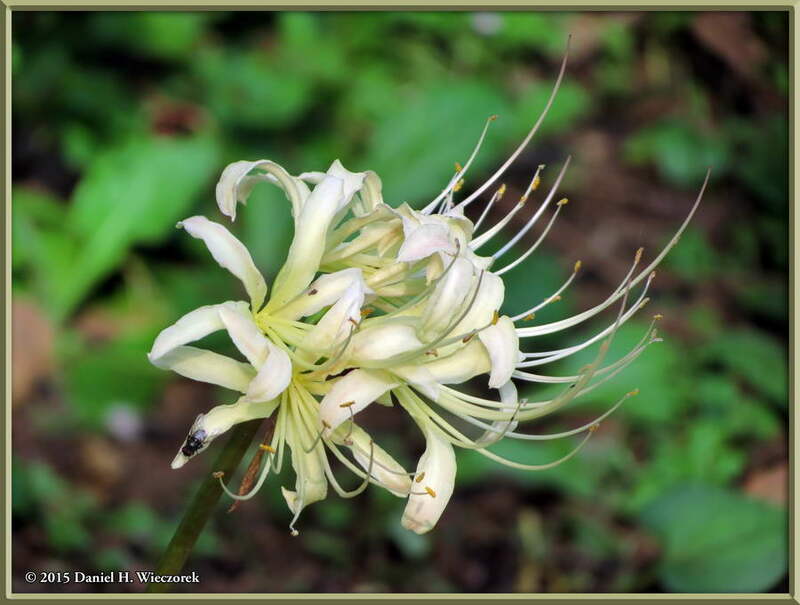 The first photo here shows a closer shot of that Lycoris radiata (Cluster Amaryllis) - the very last one which still had a flower on it. 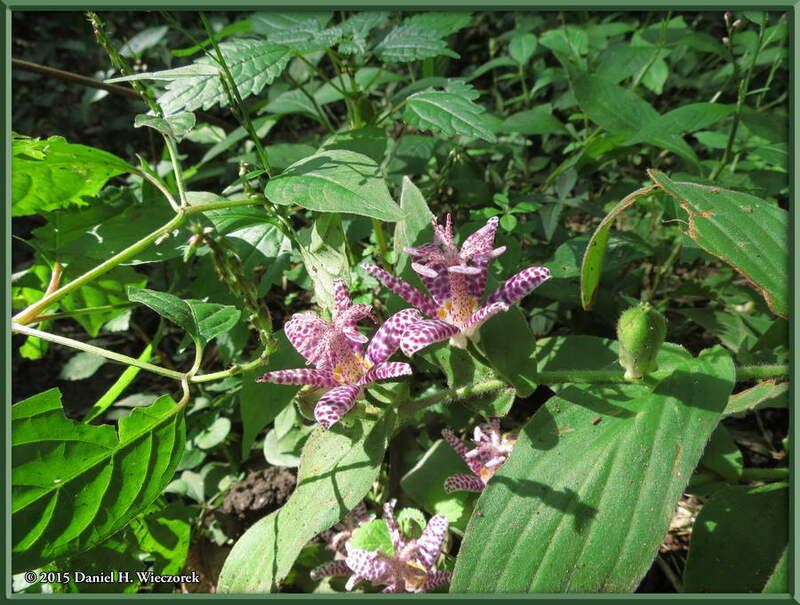 The second shot shows another beautiful Toad Lily (Tricyrtis sp.) 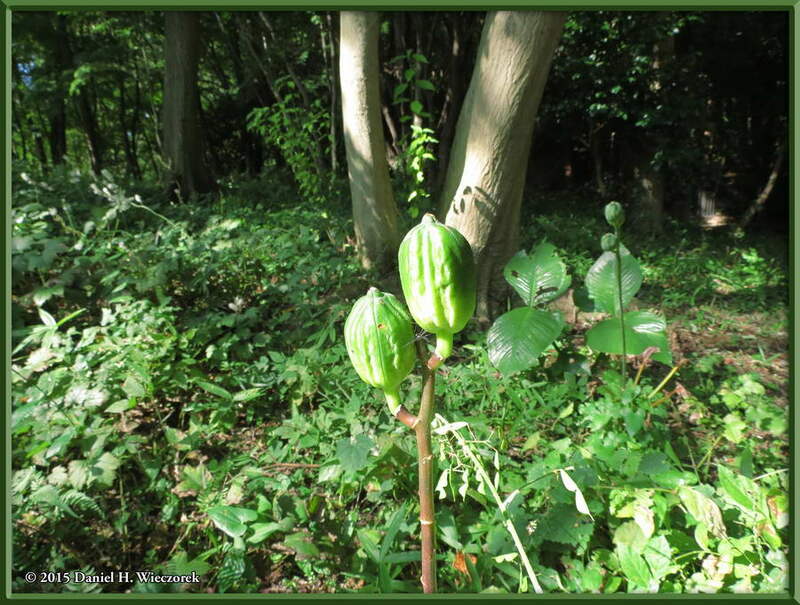 flower and the 3rd shot shows the fruits of what is called the Snake Gourd in Japanese (Trichosanthes cucumeroides). 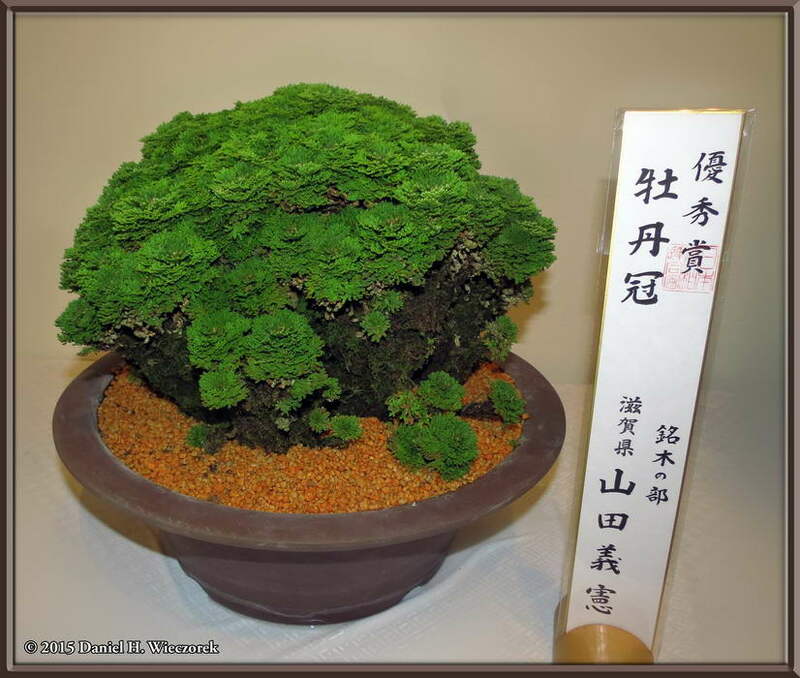 In Japan there is a certain type of Chrysanthemum which has edible flowers. 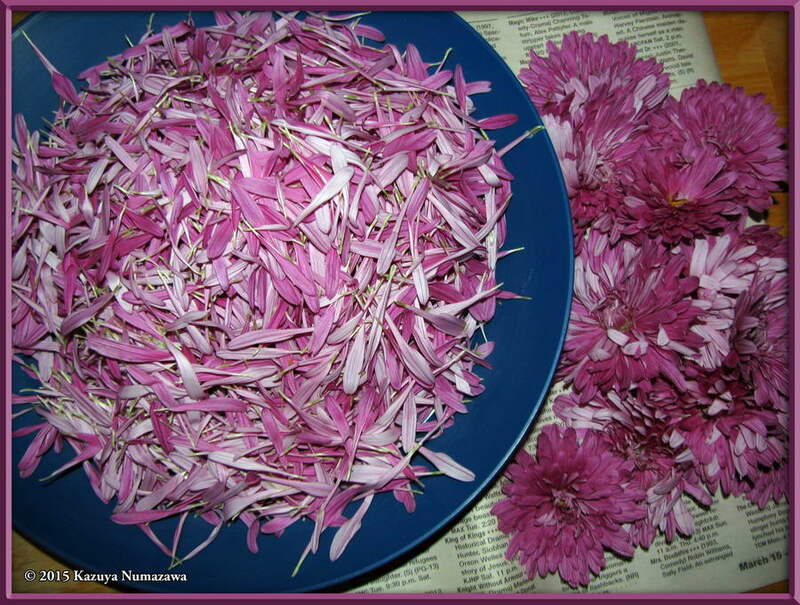 Kazuya found some at a local store, bought them, spent a couple of hours plucking all of the flower petals from the flowers and then briefly par-boiling them. 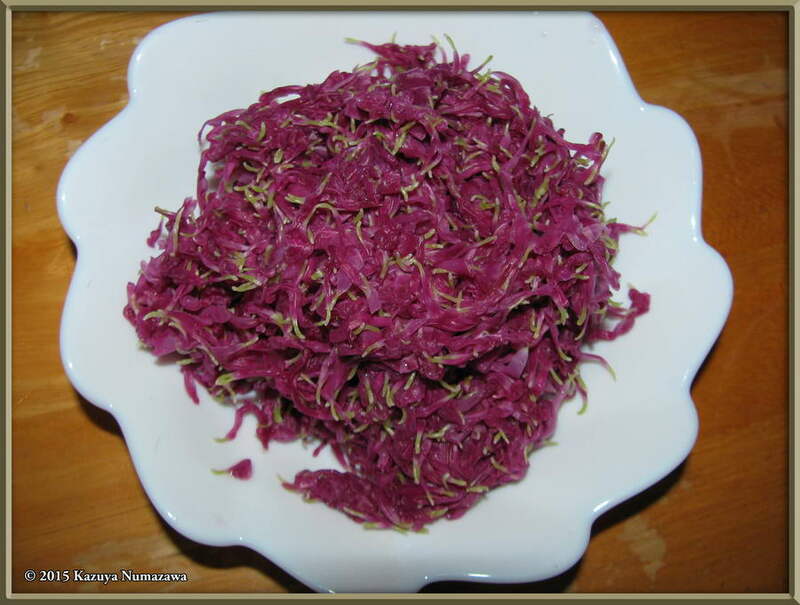 We ate them with our supper that evening - they are quite tasty. 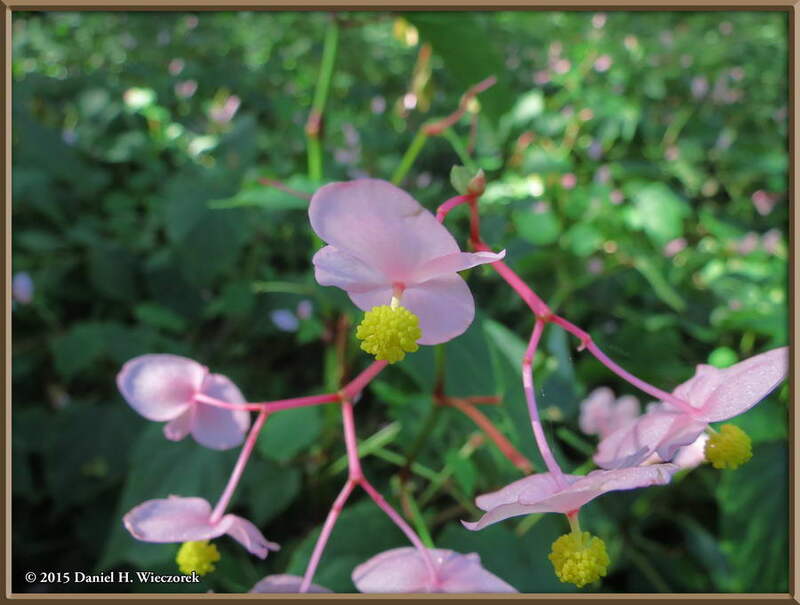 On October 24th Kazuya and I rode our bicycles to Jindai Botanical Garden to see what was happening as far as autumn flowers and fall colors. 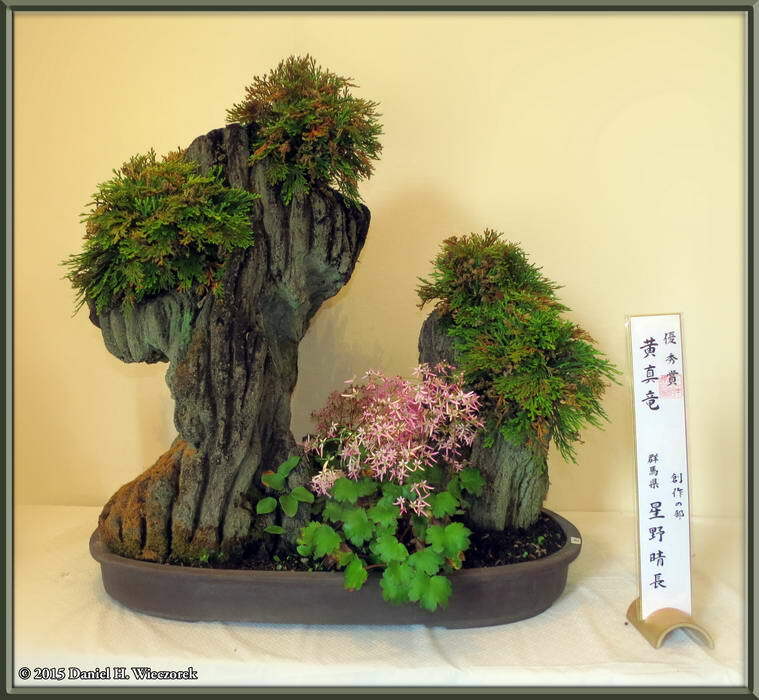 In the indoor display area they had this large display of Selaginella tamariscina et. al. 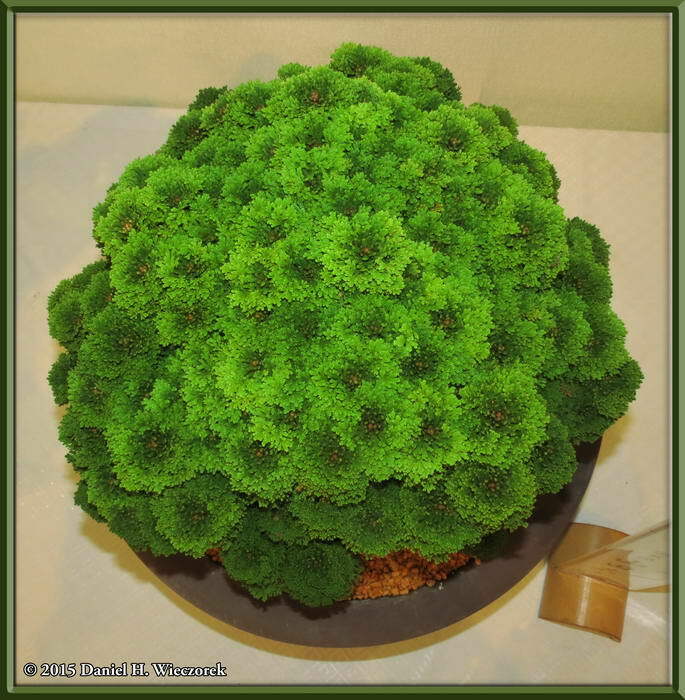 - Spike Moss (Iwa-Hiba in Japanese). 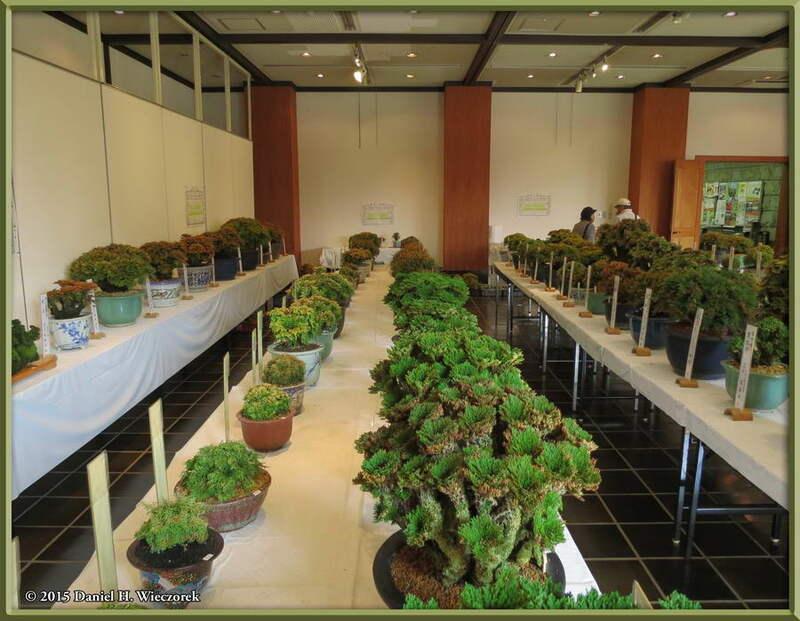 The first shot shows just one of the 4 or 5 tables filled with this plant. At first I failed to be impressed, but I came to appreciate it as we walked around and studied the specimens. 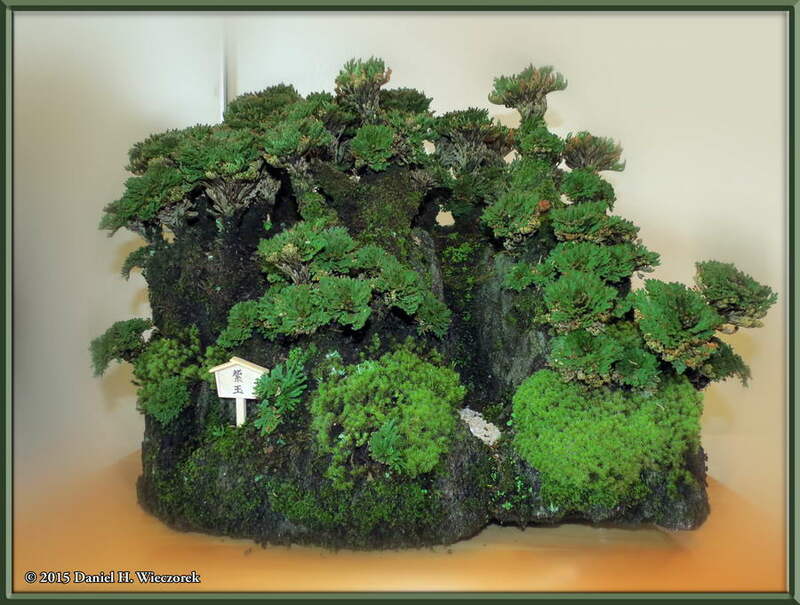 The second shot shows a Spike Moss Garden on a large rock. 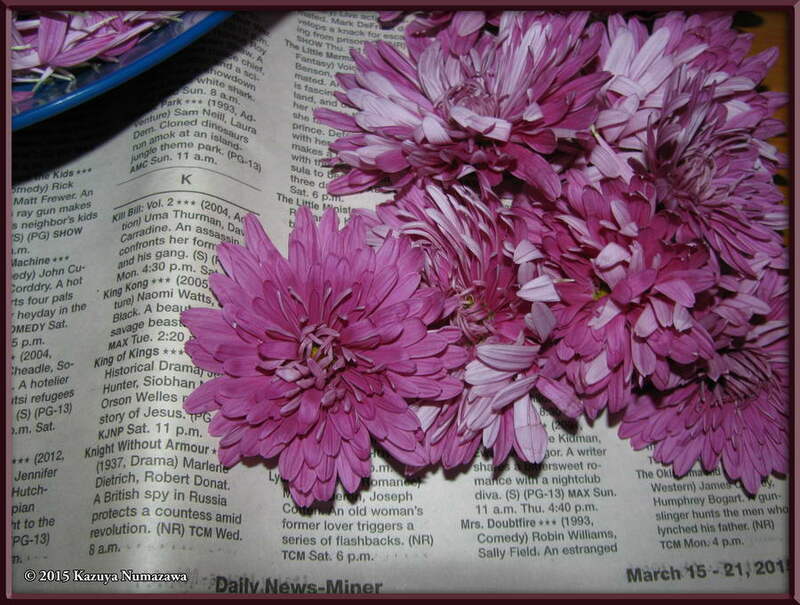 The third shot has more color as the grower also planted some flowering species in his or her pot. What do you think? Is it amazing or boring? Here are the final two shots of Spike Moss. 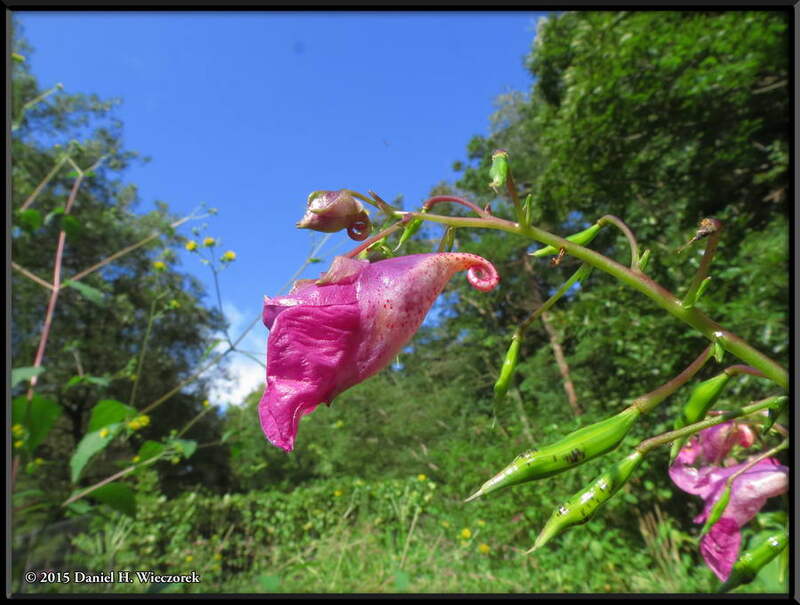 These two photos show only one plant - one shot from the side and one shot from the top. Oh, don't bother to ask me what the little signs say because I don't know. 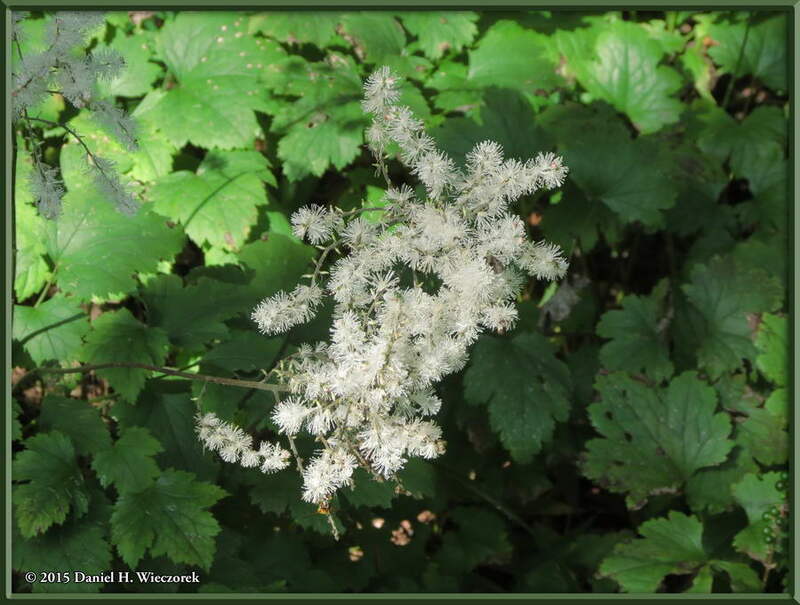 As we walked around we noticed some a small sign which identified the species shown in these two photos. 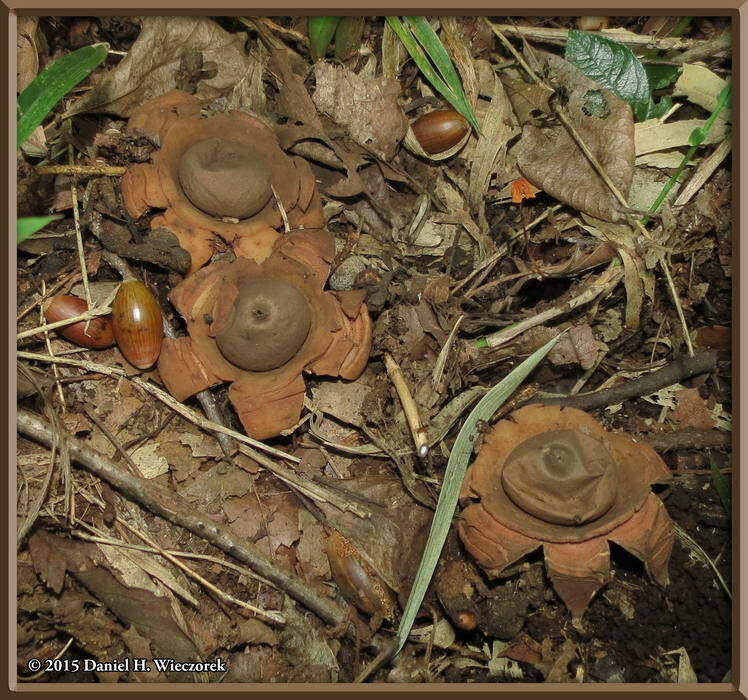 It is Geastrum triplex - One of the Earth Star Fungi. 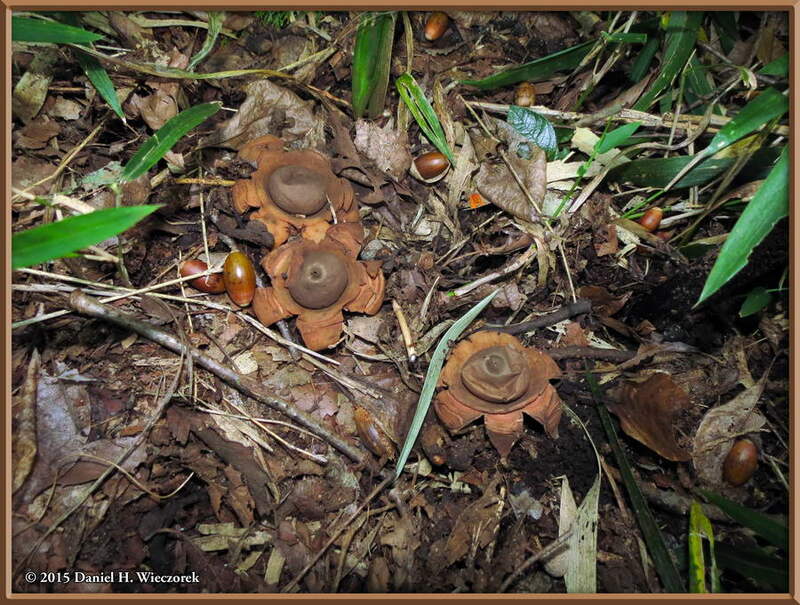 We last saw Earth Stars in March of this year on Mt. Takao. 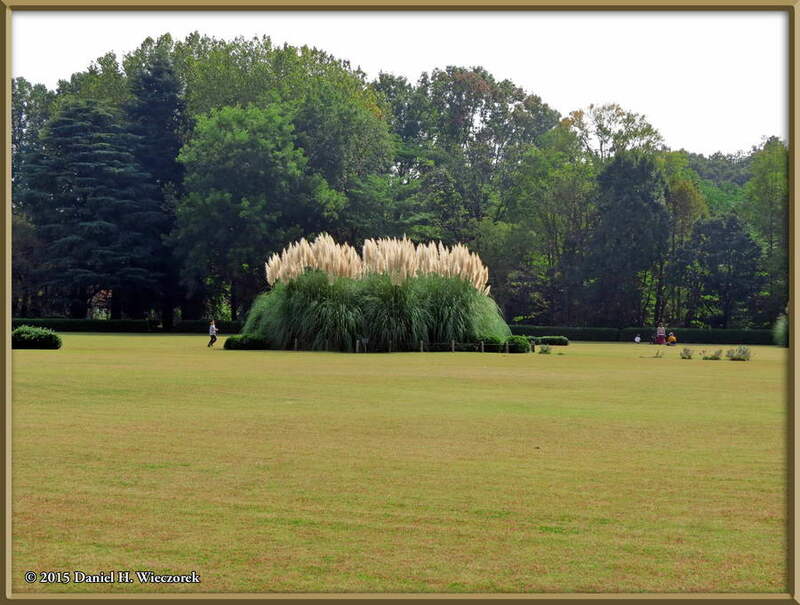 Then we continued to the Big Lawn area, where the patch of Pampas Grass (Cortaderia selloana) grows. 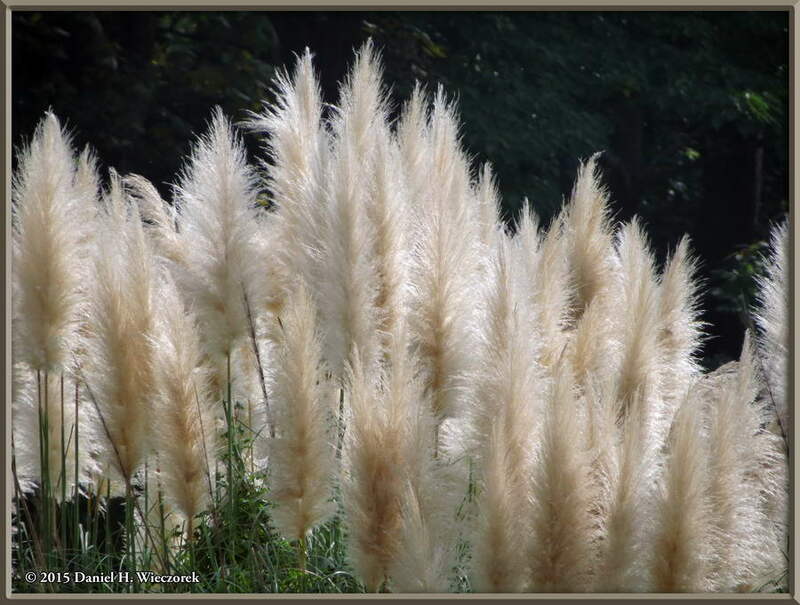 Just as we arrived there were no people around, but suddenly a family arrived and their children immediately ran for the Pampas Grass. If I had been just one moment faster with my camera I could have gotten a shot with no people! Each of these three shots is increasingly zoomed in. They were all taken from the exact same spot. This was a chilly morning, so we stopped at the vending machine and small shop on the edge of the Big Lawn and bought some hot drinks to get warmed up. 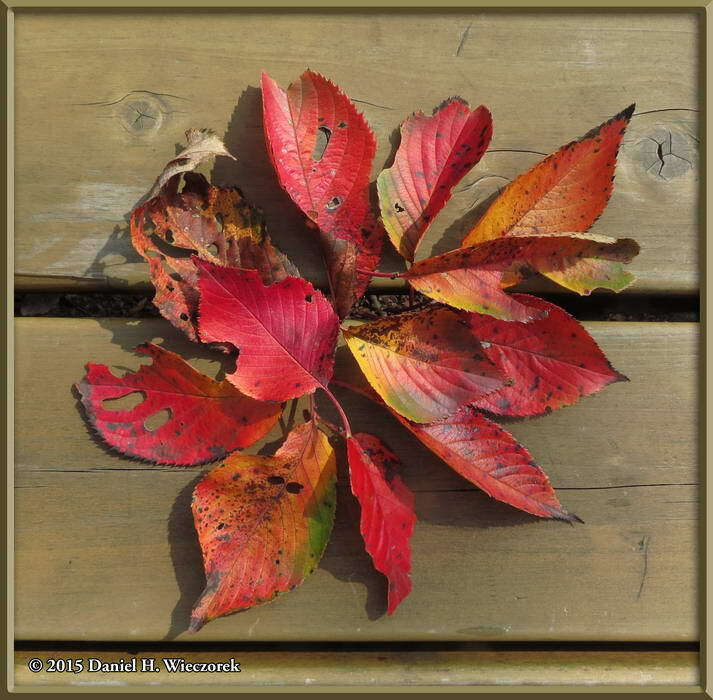 While we were sitting there I gathered some of the colorful leaves that had fallen on the ground and Kazuya moved them around on top of the picnic table and made several designs. This first shot shows one of them. 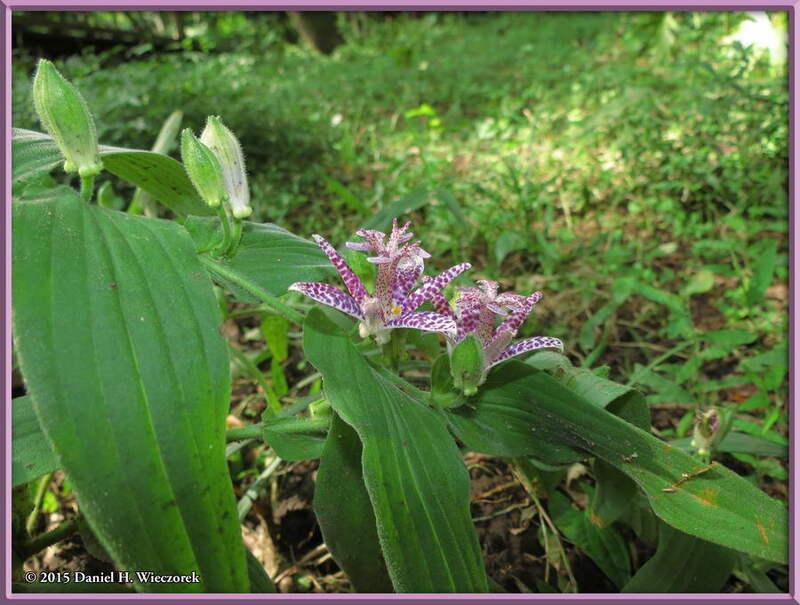 Then we continued on and at a large patch of Toad Lily (Tricyrtis sp.) 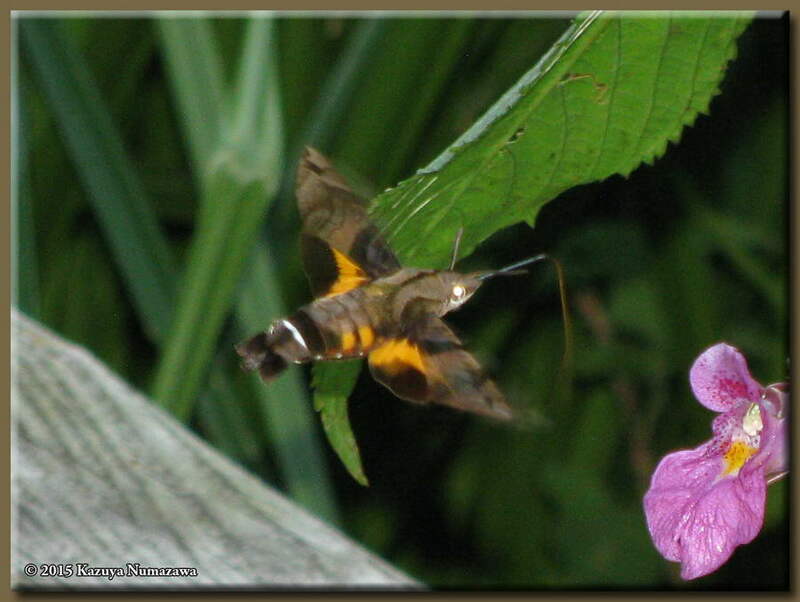 we found Hummingbird Hawk Moths (Macroglossum sp.) again. The images above, in Rows 2, 3, 4 and 5 were shot at shutter speeds of 1/100th - 1/200th of a second. This time I wanted to try and stop the wings, so I cranked the shutter speed up to 1/2000th of a second and adjusted the flash to maximum. As you can see, even at 1/2000th of a second, I was not able to freeze the wings. Oh, the third image is a cropped portion of the center photo. 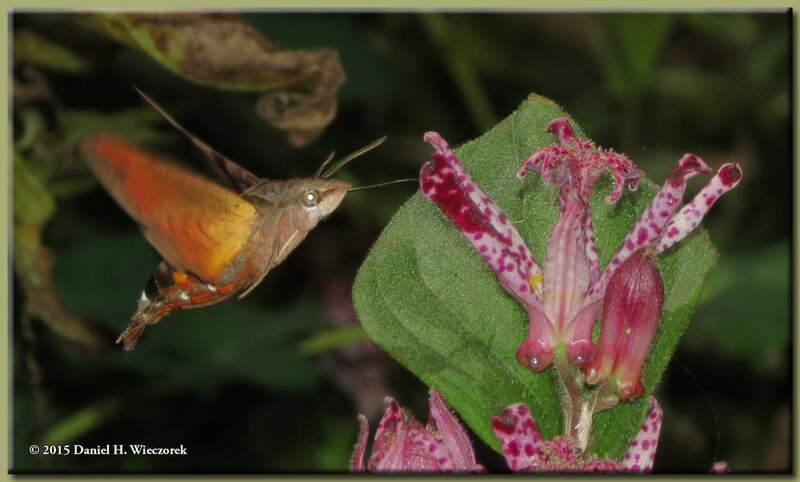 Here are the final two images showing Hummingbird Hawk Moths (Macroglossum sp.). 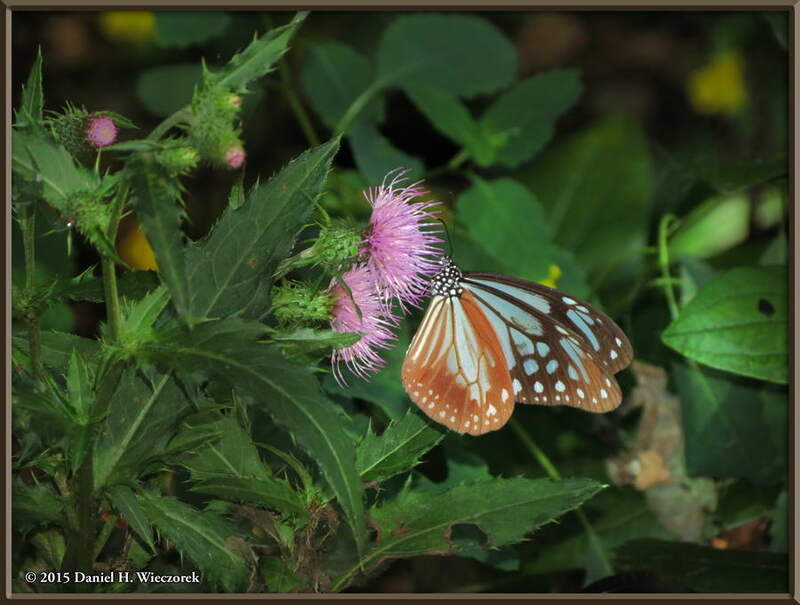 The center image is a cropped portion of the first photo and again, you see that 1/2000th of a second shutter speed did not freeze the wings! So, they beat their wings at the rate of more than 2,000 times/second, amazing for a "Moth", eh?! 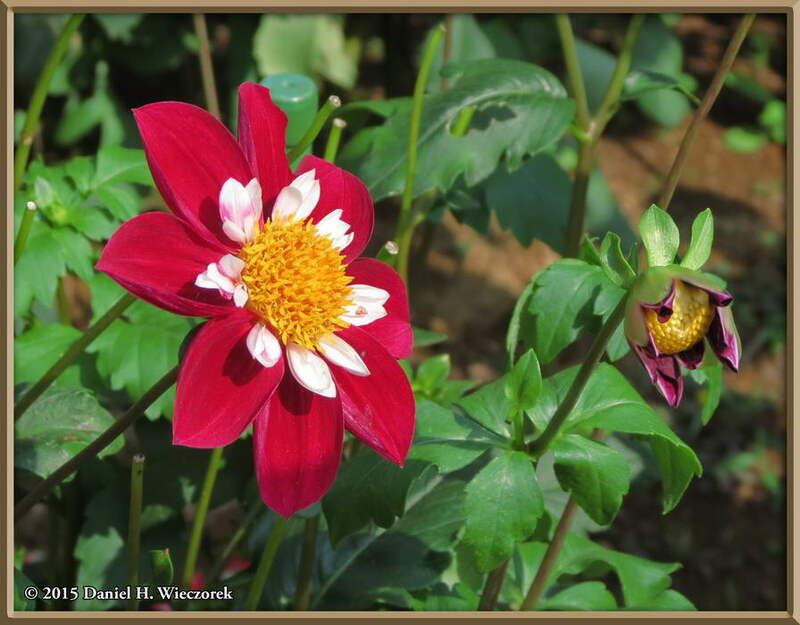 After a while we ended up in the Dahlia Garden, so the final shot in this row shows a nice Dahlia Blossom. 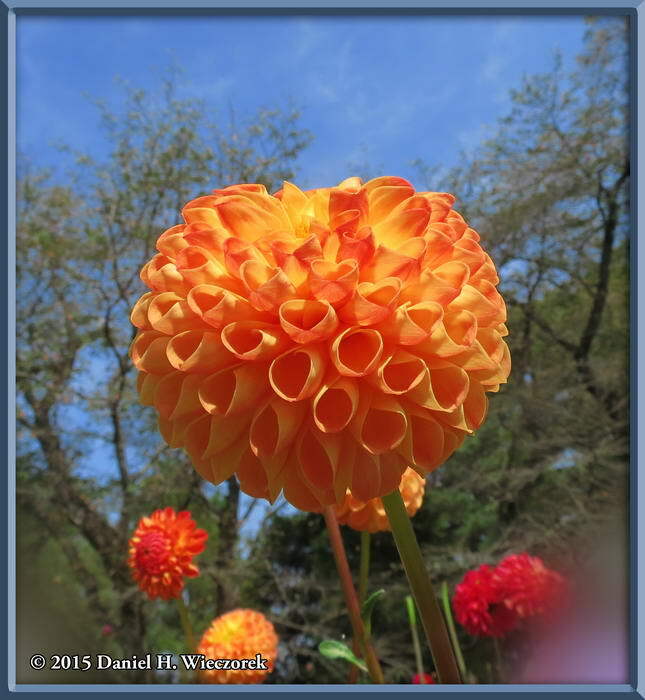 These three shots all show Dahlias. Both lower corners of the center photo have been blurred out to remove people's heads! 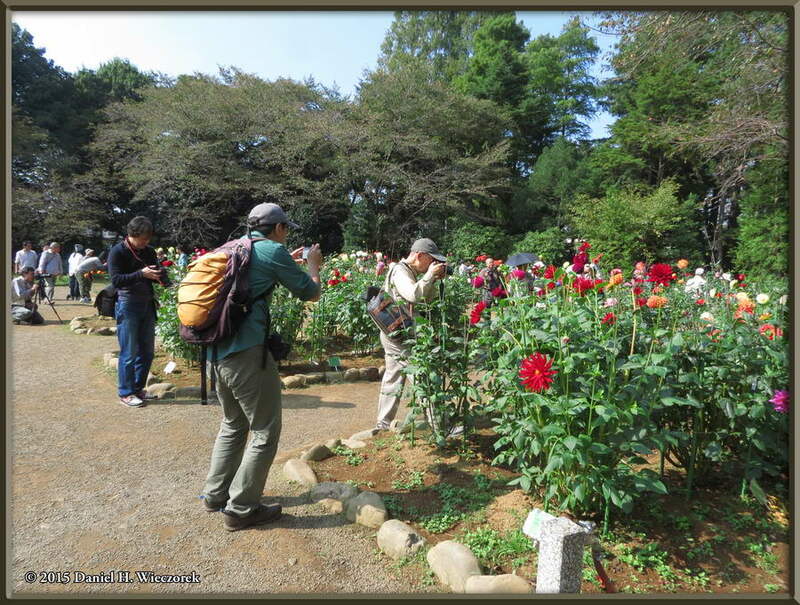 As you can see in the third shot - of Kazuya shooting a flower - there were so many people here taking photos that it was virtually impossible to get a photo without at least one person in it. Link to Amazon.com (new window). We get 2% of whatever you spend if you go to Amazon from this link!! 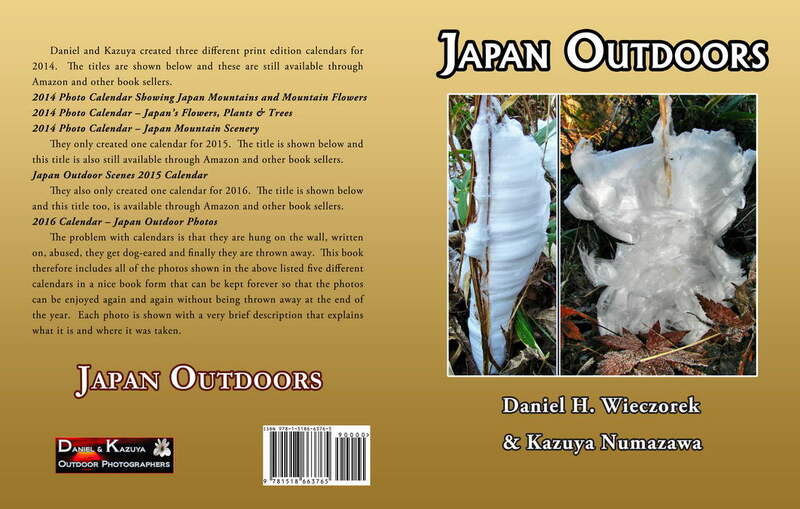 Please shop on Amazon from here.